This recipe is for all chocolate lovers out there. Since I posted my homemade whipped cream recipe, I have been asked many times how to add flavor and color, chocolate being the most requested. 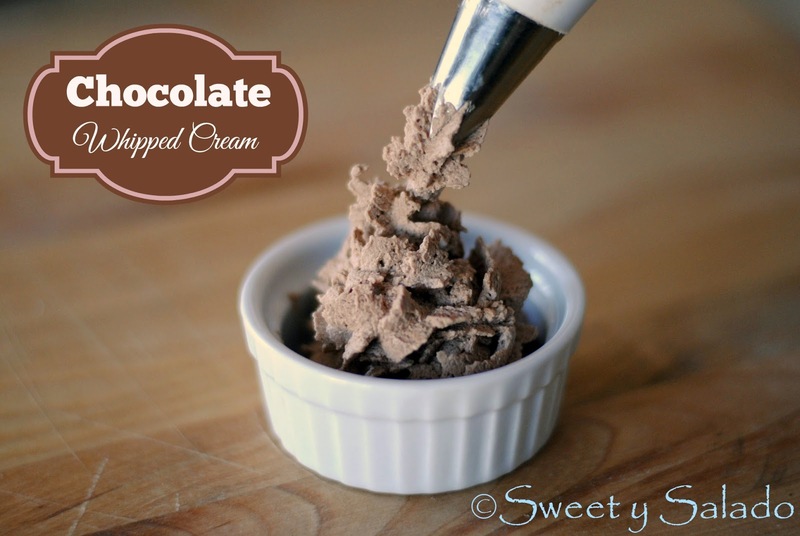 It’s an easy recipe where all you have to do is add some cocoa powder to the whipping cream while whisking and voilà, you have chocolate flavored whipped cream. You can use this whipped cream on anything you want to add chocolate to such as my chocolate tres leches cake recipe. It’s so delicious that I always lick the whisk after I’m done, and no, there’s no shame in my game! 1. Place mixing bowl and whisk in the freezer at least 15 minutes before making your whipped cream. 2. 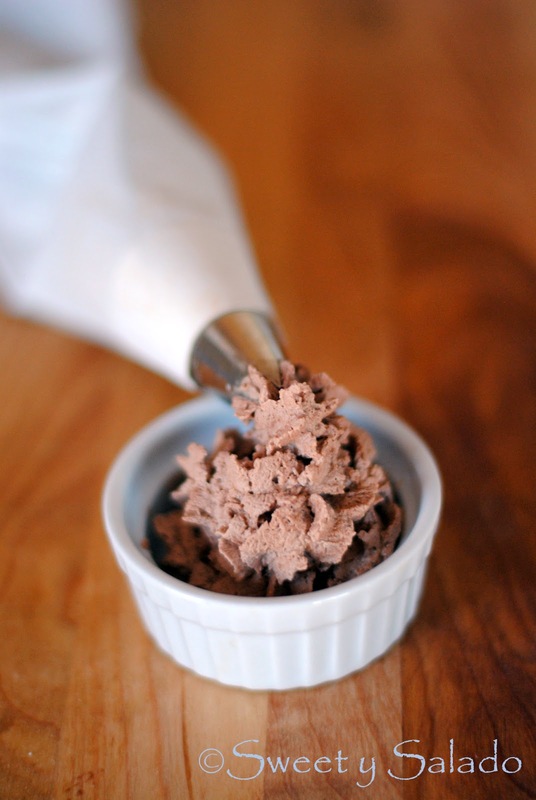 Mix powdered sugar and cocoa powder in a small bowl and set aside. 3. Take the mixing bowl and whisk out of the freezer and add the whipping cream. Whisk between medium to high speed for about 1-2 minutes or until it thickens. 4. While still whisking add the dry ingredients very slowly. Remember to scrape the sides of the bowl to incorporate well all of the ingredients. Keep whisking at high speed for about 2-3 minutes or until soft peaks form.